Any product that promises to add some glow, sheen or to illuminate the skin – I’m there. I’m merrily slapping it all over my face. I just think glowy skin looks so nice, and definitely makes me look more alive. Also amazing for dry skin – like me – glowy highlighters are just my thing. Proof: I recently used up MAC Soft and Gentle. You know, the giant domed highlighter. All gone. 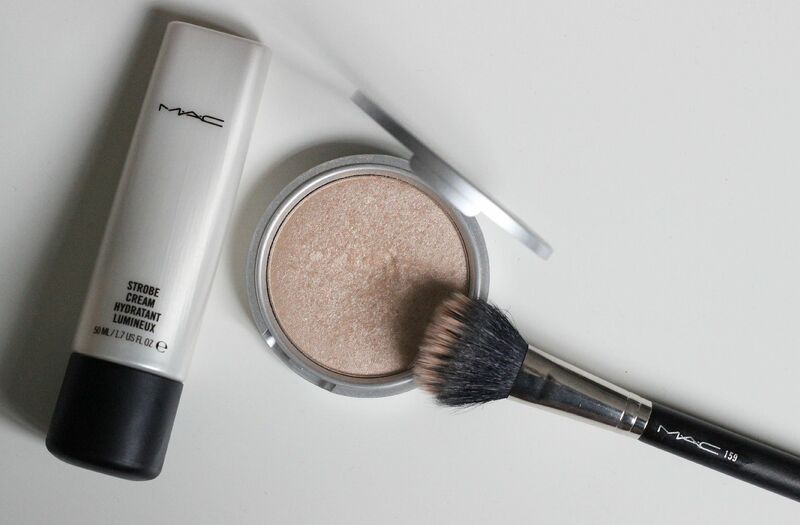 When it comes to highlighting though, I like to go at it from two angles. Before I apply any foundation, I apply a healthy amount – a dollop – of an illuminating primer/liquid highlighter thing. I am really liking MAC Strobe cream at the moment – it’s a moisturising white cream that gives an irridescent finish to the skin. Really pretty. I just sort of rub it in all over my cheeks and under my brow bones – anywhere that would benefit from some additional glow. Yup. Then after foundation and some contouring, I sweep some theBalm Mary-Lou-Manizer on the tops of my cheeks, in my cupid’s bow, under my eyebrows, on top of my eyebrows… anywhere really. This stuff is legit. It is like Stila Kitten, but infinitely smoother and you can put it all over your face. Really soft and blendable. It’s quite strong though, so I like to use a brush that doesn’t pick up too much product – the MAC 159 does a brilliant job. Are you as obsessed with giving your skin some glow as I am?